Here at Wisecraft we have proudly been providing the lovely people of Bolton (and let’s not forget many of the lovely surrounding areas too – here’s looking at you Horwich!) 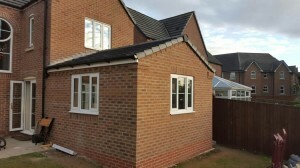 with expertly installed highest quality UPVC windows for years. And so if you are thinking about replacing those draughty old windows with lovely shiny new ones then there’s practically nothing that we don’t know about UPVC windows, and here’s the thing – we’re willing to share! There’s a multitude of different UPVC window styles on the market and knowing which one to choose for your home can be tricky. Obviously your budget will affect your choice but it also worth bearing in mind the age and style of your property and how you want to use your windows. So have a look at our run down of some of the most popular types of UPVC windows and then if you want to talk through your choice further just give us a call on 01204 283644, we always love a chat! These windows only open inwards and can either fully open from a side hinge or can open, often with degrees of, tilt from a top hinge. These are great for where an outward opening window isn’t practical e.g. on the ground floor next to a walkway etc. These windows are still able to offer a degree of security when open on the tilt function but can still provide an effective means of fire escape with the side opening function. The side opening function also makes it easy to clean both sides of the window from indoors. This style of window offers excellent ventilation as the opening part of the window is hinged at the top and opens outwards, so drawing air into the room. There is a myriad of different designs of casement windows with opening panes being situated in many different areas, and often with more than one opening pane. Particularly suited to period homes, sash windows feature one half of the window that slides over the other half. Traditionally it is the bottom half that slides up, however it also possible for the top to slide down or for both parts to slide. 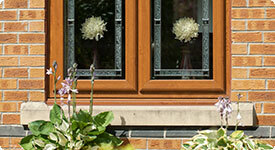 These windows can also be hinged at the side for easy cleaning and can offer a means of fire escape. These are windows that either fit into an extending alcove (bay) from the room or simply extended from the house in a curved fashion (bow). These windows usually need to be carefully manufactured and installed to ensure the perfect fit and usually include either casement or sash openings. There are, of course, a number of other types of UPVC windows available, so to find out more contact Wisecraft Ltd today.